The survival of the Serb Orthodox monastery of Decani throughout the centuries offers hope of the possibility of coexistence, Croatian President Ivo Josipovic said on Saturday in the 14th century monastery guarded by the Kosovo Force (KFOR) peacekeepers, at the end of a Balkan tour. “Here, not always in easy conditions, there has been room for all people of good will. 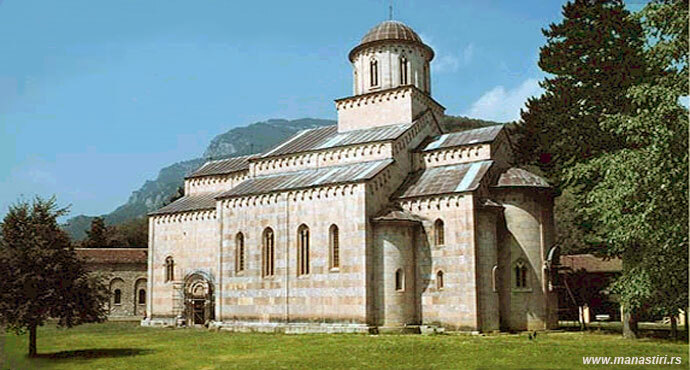 The preservation of this monastery, the cooperation between the Serb Orthodox Church and the Kosovo authorities shows that people can get along, that optimism can win over pessimism and that people of good will can overpower those who are not,” he said. “I am confident that this whole area will become an area of peace,” Josipovic said. “We hope that together, through our efforts, we can preserve this valuable Christian heritage and that better times are ahead in which people will cooperate more and work together to the benefit of all,” he added. Italian KFOR troops have been guarding the monastery since the end of the war in Kosovo because it has been shelled more than 20 times. The KFOR commander, Italian Brigadier General Salvatore Farina, welcomed President Josipovic at NATO’s base Film City in Pristina when he visited the Croatian KFOR contingent today. Farina said KFOR was proud of the Croatian troops. The 22 members of the 13th Croatian Army contingent “are contributing to the security and well-being of all people in Kosovo,” he said. “The role our soldiers and police officers have played, together with the other forces here, is big, valuable and important,” said Josipovic. “We have contributed to reconciliation, the security of people and the democratic development of Kosovo,” he said at the end of his two-day stay in Kosovo.